The newest trailer for Hello Games’ ambitious space sim No Man’s Sky – and the last one in a series of trailers each showing off one of the four facets that make up the core gameplay loop of the game – is now out, and this one showcases the survival component in the game. The trailer is short, but it is replete with gameplay footage, and we get to see a lot of different kinds of planets in it if nothing else- seriously, if this is indicative of the kind of diversity we can expect in the final game, then I think even just exploring the game’s vast universe will be good enough. That said, we do get an idea of how we will have to contend against hostile life forms, and extreme conditions, as we continue our quest to chart the galaxy and the universe. 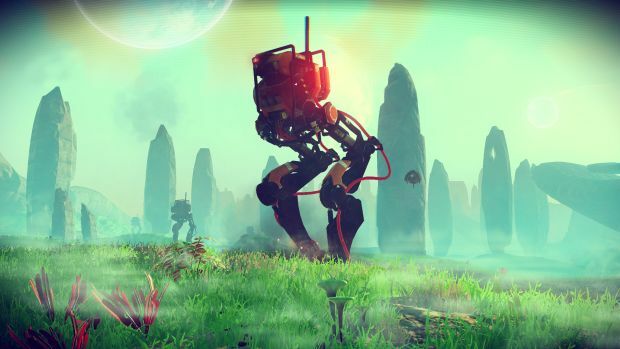 No Man’s Sky is set to launch on PC and PlayStation 4 in August. Check out the new trailer for the game below.